The Pattullo Bridge received a necessary safety rehabilitation this summer. As a part of the warranty for the work carried out on the bridge, the deck now needs to be inspected. On Sunday, November 20, 2016, this inspection will take place. Crews will extending the Saturday overnight safety lane closure to 1 p.m. on Sunday. If you’re cruising over Pattullo, you can also expect a traffic pattern change that morning as crews inspect each lane of the bridge. An similar inspection will also take place this spring. Thank you for your patience while we continue rehabilitation work to the Pattullo Bridge to keep it safe and secure. 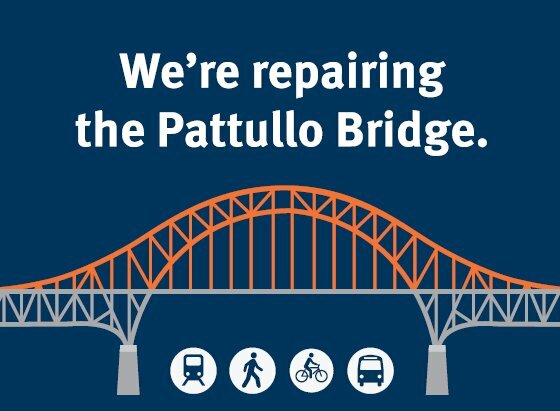 Want the latest Pattullo Bridge news? Head to translink.ca/pattullorehab or translink.ca/pattulloreplacement. The Pattullo Bridge…she’s recently had a safety facelift, but this near 80-year-old bridge is in need of replacement. In June 2016, we started the consultation process with the public and now we’re back for round two! From October 3–31, 2016 we’re looking for your input again. There are many ways for you to get involved in this process and make your voice heard including reading the discussion guide and providing feedback online or attending a public open house or small group meeting. Attend one of our public open houses to learn more and provide feedback. These are drop-in sessions; no RSVP is required. If you’d like to attend one of our small group meetings, please register by emailing pattulloreplacement@translink.ca as space is limited. For more information, visit translink.ca/pattulloreplacement. You are invited to our Pattullo Bridge information sessions! 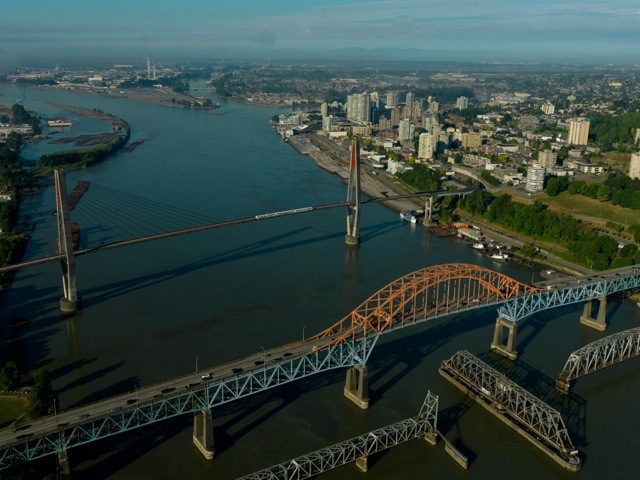 Come out to one of our Pattullo Bridge rehabilitation information sessions! As we mentioned in February, the Pattullo Bridge is in need of repair! ICYMI! Between April 29 and October 3, 2016, we’re repairing the Pattullo Bridge to keep it safe. The bridge will remain open with one lane in each direction, with the exception of two nights a week and one weekend a month. To avoid expected delays of up to 40 minutes, try using the alternatives like transit, carpooling, cycling or taking a different route. For more information, including closure schedules and trip planning resources, visit translink.ca/pattullorehab. On the first weekend of closures, the bridge will close at 8 p.m. on Friday night and reopen at 3 a.m. on Monday morning. On the following weekends, the bridge will close at 9 p.m. on Friday night and re-open at 3 a.m. on Monday morning. Last time we wrote about the new Pattullo Bridge was back in March when we conducted a webinar on the project. At that time, we were at the beginning of the Project Definition stage. We mentioned that we would again be consulting with the public on the project in the spring. We’ve met with some stakeholder groups this spring, and more consultations are in the works for this summer (summer starts tomorrow by the way). Like previous consultations, we’ll have an online questionnaire available if you’re unable to attend the in-person consultations. 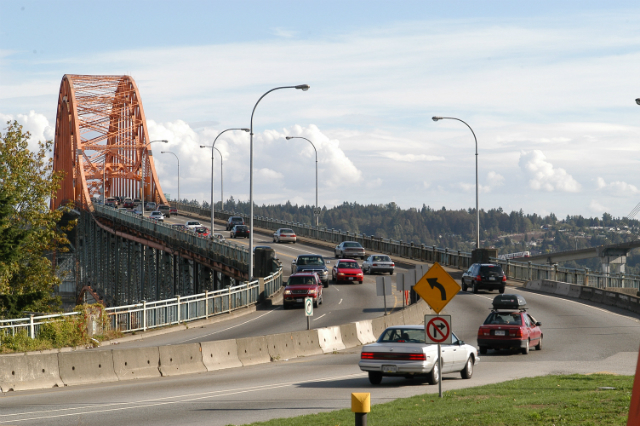 Please check this post tomorrow, June 21, 2012, or simply check the new Pattullo Bridge page for the questionnaire and additional information on the project. We hope to see you out at the consultations or receive your completed questionnaire! 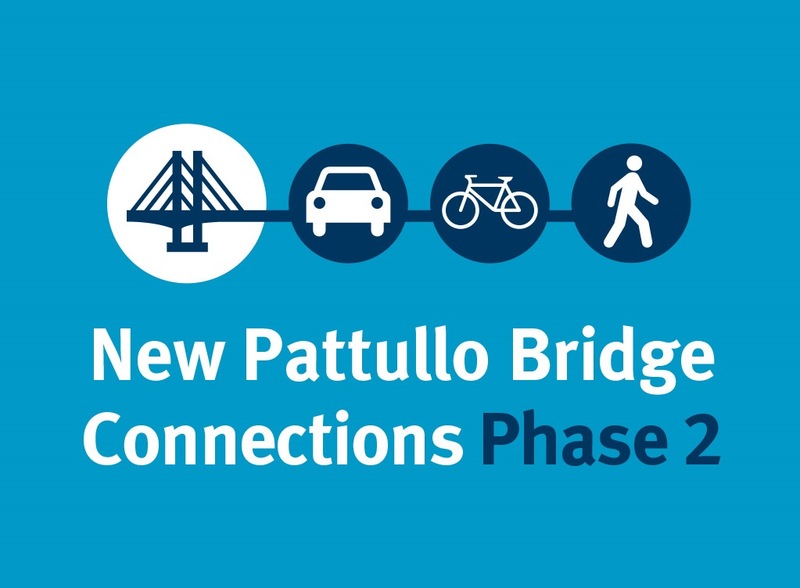 Last Thursday’s webinar about the New Pattullo Bridge Project can now be viewed, here, the Buzzer blog YouTube Channel, TransLink’s channel or via this third-party website. I advise using the third-party site (but not using Chrome) since it will allow you to follow along with Sany Zein, Director of Road at TransLink, during the presentation. If you didn’t get a chance to participate in the live webinar, please also take the time to watch and check out all the additional material found on the TransLink website. We had some great questions asked during and before the webinar. The questions ranged in topic from tolling of the existing and future bridge to what effects the new bridge would have on existing parkland if any. There’ll be other opportunities for your input on the new bridge when we ask for more feedback in the spring, so there’s plenty of opportunities to provide feedback in the not-too-distant future!